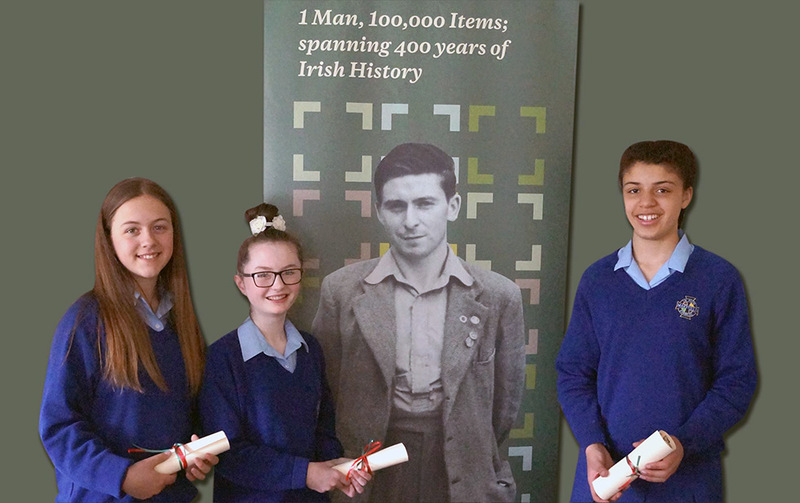 The Jackie Clarke Collection offers a dedicated Education Programme for Primary and Secondary Schools. There are workshops and tours designed to suit all levels and ages. Get in touch with the Jackie Clarke Collection today to see how we can accommodate your school. Tours and workshops currently on offer: Scrapbooking; Storytelling; The Famine; 1798; 1916 Rising; Maps; The Work of the Historian; Nature Trails; Garden Activities for Maths and Science Weeks; TY Discover Trails, and General Tours. If there is a specific topic you think we might be able to assist you with please let us know, as the Jackie Clarke Collection covers 400 years of Irish History. The Jackie Clarke Collection Repository contains thousands of items related to Irish history. It is the perfect resource for Leaving Cert or university students researching historical topics.